Serato has launched beta testing for Serato Studio. It’s a new DAW that’s aimed at DJs who want an environment to make beats and create original tracks, using skills they already have. Serato Studio is a DAW with a difference. It’s aimed at DJs who want to get into full scale production, using the skills they already have. The Serato Studio philosophy is one built around speed and efficiency. 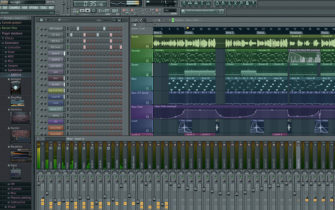 Like more traditional DAWs, it features a horizontal scale for arranging scenes in an arrangement. There’s also MIDI note sequencing available, in which you can program or record using built in virtual instruments, or your own VST/AU plugins. Features that are familiar to DJs includes a screens for time-stretching and pitch-shifting samples. There’s also a XOX style step sequencer for programming beats, a DJ style mixing strip and easy access to your library, with cue point, BPM and key data. Head over to Serato to join the beta.